David B. Calhoun is a graduate of Columbia Bible College and Covenant Theological Seminary, and he earned two masters of theology degrees, including one from Covenant Seminary (Old Testament) and one from Princeton Theological Seminary (New Testament). He earned a doctor of philosophy degree from Princeton and serves as Emeritus Professor of Church History at Covenant Theological Seminary. He also served as a Presbyterian minister for more than 60 years. David Calhoun books include the two-volume Princeton Seminary Set. Volume 1 is titled Princeton Seminary, Faith & Learning 1812-1868, with volume 2 titled The Majestic Testimony 1869-1929. 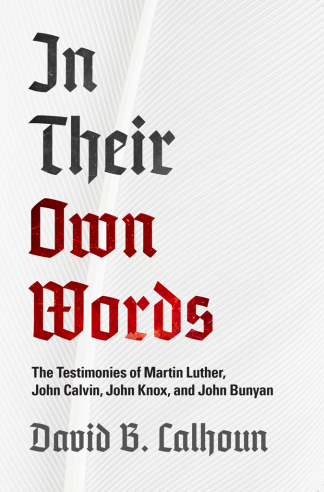 One review of this two-volume treasure calls it ‘splendid’ and ‘thoroughly researched.’ Calhoun also wrote Knowing God and Ourselves, created to help students read and understand the important but challenging John Calvin book, Institutes of the Christian Religion. More recently, he has published Pleading for a Reformation Vision with the Trust.